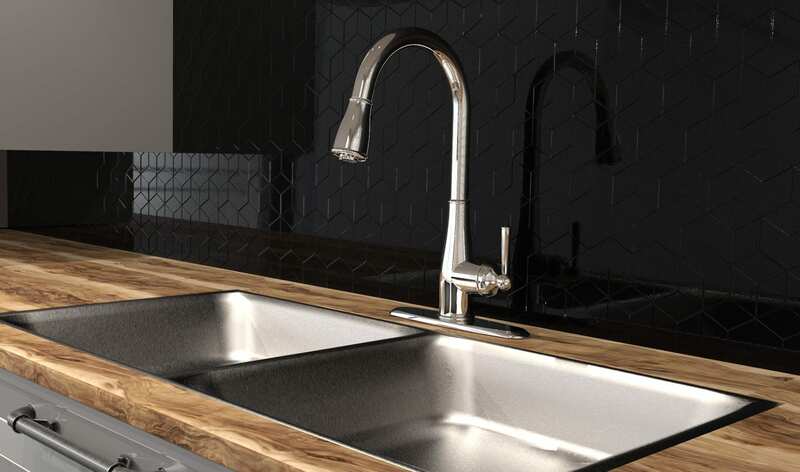 Discover our new RUS78CCP kitchen faucet with the “Quick-Lock” technology. The concept is simple: just push the “Quick-Lock” to the base of the counter and then tighten it. The long steps of tightening and the risks of having leaks are over! In addition, its swivel spout with a 3 jet (aerated, spray and blade spray wide) integrated hand shower allows you to quickly switch from one function to another, thanks to the diverter jet button, while its black nylon hose gives you unmatched flexibility for your daily needs. 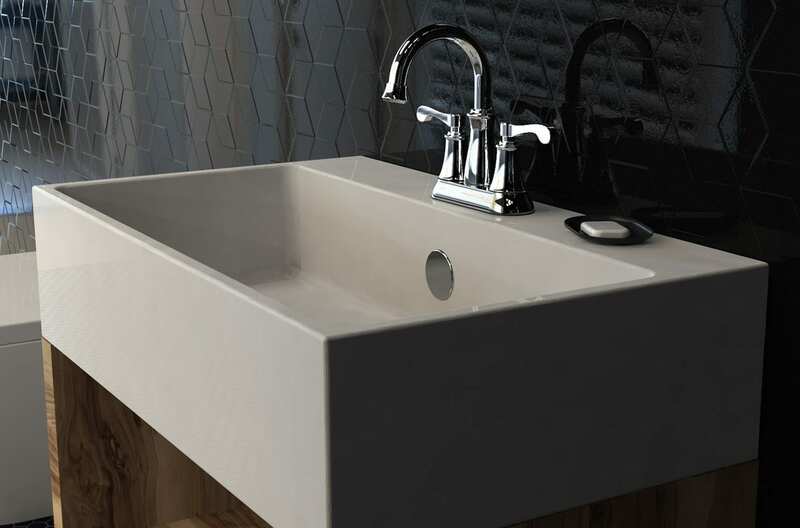 For your bathroom, the new RUS74WCP lavatory faucet, with its maximum flow rate of 4.5 L / min exceeds the ecological certification requirements and ensures you own an eco-friendly product. To the Victorian look we added a tapered spout, a detailed body and handles that are as stylized as practical to use. The included presto drain completes this set perfectly resulting in a very functional design. 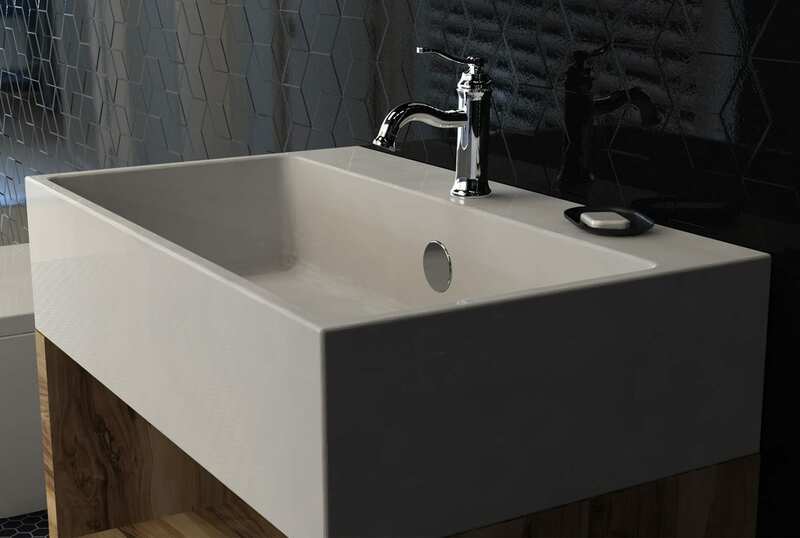 Part of the same collection, the RUS22CP is a perfect single-hole option for a slightly smaller bathroom. The team’s favorite: the slender curvature of its spout and the ultra-stylized handle, for an absolutely vintage design style!